If you're new to the Apple world, here's where to begin. If you're thinking of upgrading or getting one of Apple's new portable devices such as the iPad, check out these classes. Get a website name, these are great to have and cost only $10 per year to obtain. Creating a password protected area on your Mac. These walk you through creating an area on your Mac to save files that require a password to access. A few classes on using the Drobo back up system. Learn the features of this Cloud based back up application. Also learn how to share your files with others. Learn how to use Garageband from playing a keyboard to recording your voice or using preinstalled instruments. Life is hectic cnough, so iCal can be your best tool to organize it. Learn how to use the calendar functions on you home computer, then sync them to any portable device so you're never late for an appointment. Coming Soon! Instant messaging is only the beginning of what iChat can do! Learn how to use iChat as an audio and video device! Introduction to Apple's new syncing program. The device that revolutionized the industry! Learn abou which iPad is best for you as well as its many functions for surfing the web, accessing you data and organizing your life. You've had fun taking photos with your digital camera. Now find out how to download them, organize them, create special effects and post them to a web page or create an album. Classes on getting started with the newest version of iPhoto. This software is lots more than music! Download movies and TV shows to watch on your home computer or mobile device. Redoing these now! Check back soon. Wouldn't it be great to have your own web site? Now you can with iWeb. Learn how to create a site and find out how to have it hosted on the internet. Giving presentations is easy with this software. It lets you create separate pages for each slide that can contain images and text. Apple's 10.5 operating system. Learn how to add folders, modify the dock and much more! A few tutorials to get you going in Lightroom. Coming soon more classes and we should be offering a hands on Lightroom class at out office. Contact us for more info. 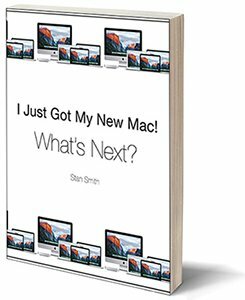 Getting started with the newest OS from Apple. Apple's email program is friendly and powerful. Learn how to customize it so that you can use it quicly and easily. Various walkthroughs for all versions of the Mac OS. I try to note if it's specific to one version, most of them overlap between different OS versions. Your data is invaluable! Think about all of your family photos, songs that you've downloaded, or documents. Learn how to easily keep copies of everything, just in case! A new section where we answer questions that may not fall into one of the categories. Learn how to sync multiple computers and other great features that MobileMe has to offer. This program lets you set up spreadsheets for all your data organization. This software not only functions as a word processor, it also allows you to layout pages and do mail merges. This is the version of Pages that came out in 2013. It's officially version 5. This version came out after Pages 09. We are just getting start on this class. Learn how to view and resize your photos. Mac's internet browser is fun to use and customize. Learn how to make bookmarks, set up your home page, and download items. This powerful new operating system has many functions. Learn how to add folders, modify the dock, and more! You know that you should back-up your valuable data. Time machine does it for you! Learn how to set it up and to recover nearly anything that you lose. Find out how to register, watch video, ask questions and view your account info.